During the Early Modern Age metal and textiles were produced in city workshops controlled by the guilds. 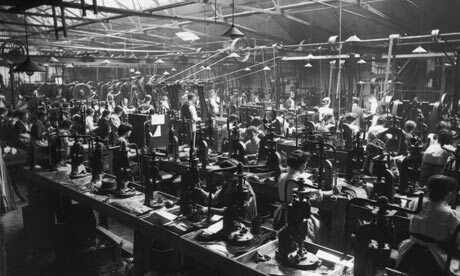 In the 18th century, production grew due to the population growth and the constant increase of the demand. 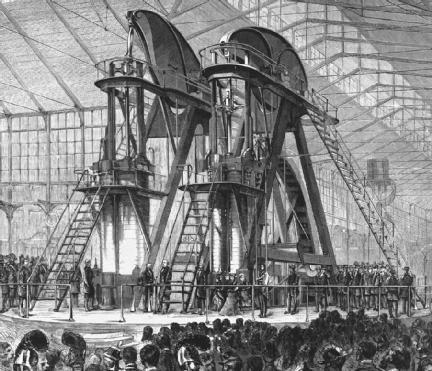 New production systems were implemented with the Industrial Revolution. The most common one was the factory located in large buildings where workers and machines worked continuously. Manual work was replaced by machines powered by water or steam obtained from burning coal. Division of work is separating production process into different stages and tasks so each one should be performed by a different worker. All these changes resulted in a faster, cheaper and higher production. 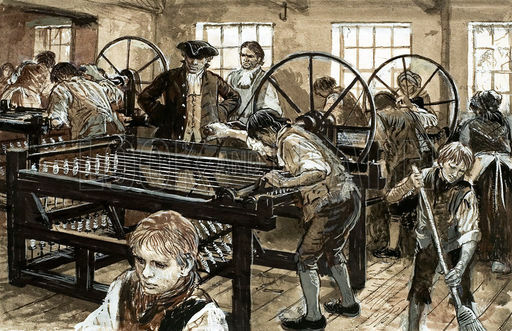 The first industries to apply the mass production were textile and steel industries. The increase in the demand of cotton fabrics due to population growth encouraged the mechanization process. Hydraulic machinery was used at the beginning so factories were located near rivers. 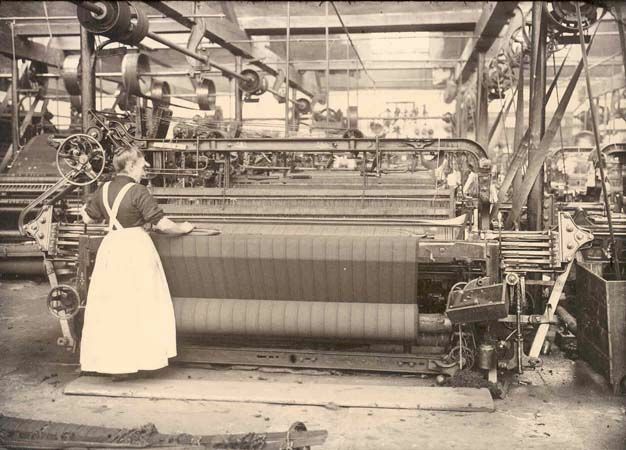 Weaving speed was speed and width of fabrics was implemented by spinning with different bobbins of thread. 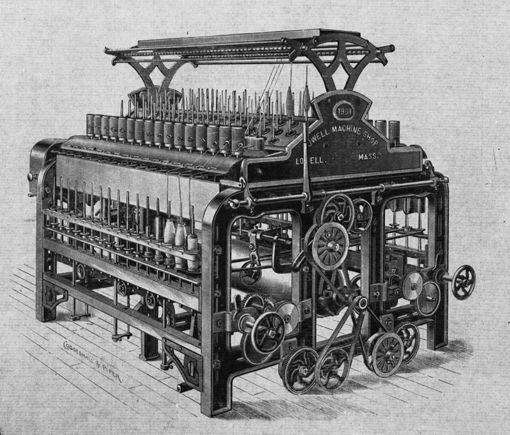 In a second stage, steam engine machines were used such as power loom and the automatic spinning mule. 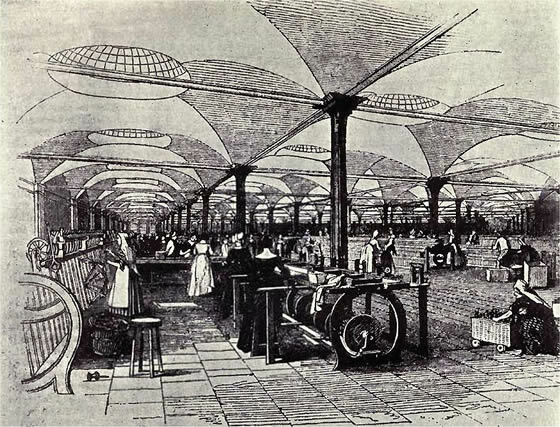 Once steam machinery was introduced, factories were located in cities. Cotton became the most popular fabric and British textile industry exported all over the world. The iron industry before the Industrial Revolution melted metal in ovens using wood and manual or hydraulic bellows. This made production very limited. Then wood was replaced by coal based on new steam pumps which allowed water to be pump from mines and machines were used to move bellows. Henry Cort invent a new technique to make iron more resistant. This made production increase.